The Tye-Dyed Iguana & Indoor Cultivator - Reptiles and Reptile Supplies in St. Louis. Hydroponics & Indoor Gardening Supplies in St. Louis. Pargro QD Slab 6" x 36"
The Tye-Dyed Iguana is owned and operated by Matt and Stephanie Smallheer. The concept was unknowingly kick-started in 2002 with the purchase of their iguana, Zeus. Zeus quickly became the center of attention and prompted their advance in the reptile industry. A fire was started in their minds and reptiles became a major point of interest. 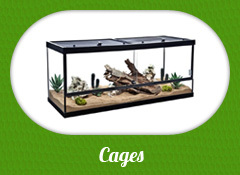 As the duo dove into the exotic world of reptiles, they began rapidly expanding their knowledge base. A fascination developed in these wonderful animals, and they wanted to find a way to share this with the public. In November of 2005, the pair opted to go public with their hobby. But this wasn't going to be just a regular reptile store; there was going to more to it. The world needed to understand these species that co-exist with humans. They needed to understand the lack of care and abuse that many reptiles receive daily. The community needed an establishment that not only retails reptiles to the public, but that offers an invaluable education. And then... The Tye-Dyed Iguana was born.